EAVI and the unit for Sound Practice Research return to the Amersham Arms to present electro-acoustic pionner Trevor Wishart and his piece ‘Globalallia’ at EAVI VI on Thursday 6th March, 8pm. He will also be doing a talk at the New Academic Building LG02, Goldsmiths, at 5pm, which is open to all. 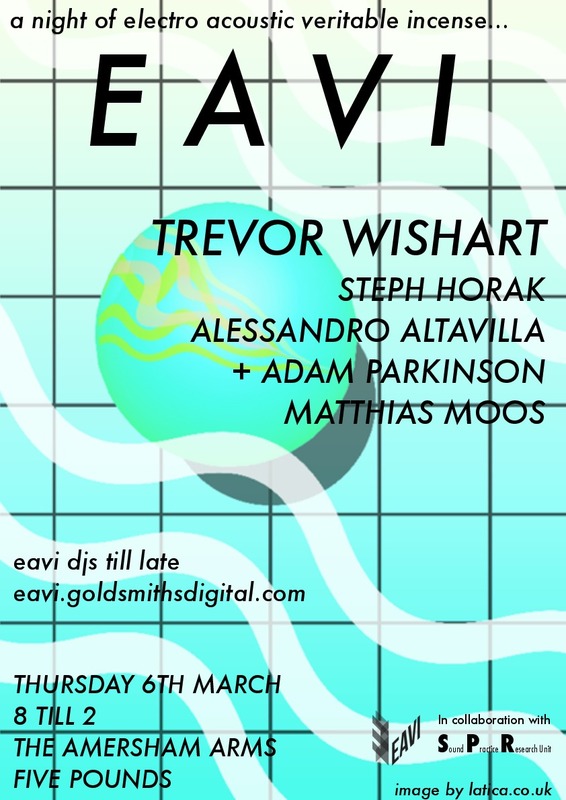 Support at the evening performance comes from Steph Horak, Matthias Moos and a duo of Alessandro Altavilla and Adam Parkinson, with EAVI djs and dancing until late.